Annotation: Told through alternating viewpoints, sixteen year old Quinn witnesses the brutal beating of classmate Rashad at the hands of a police officer and it changes both of them forever. Plot Summary: A bag of chips changed quiet, artistic Rashad’s life forever. After ROTC, Rashad decided to pick up a simple bag of chips before meeting friends. When an accident leads to assumptions of shoplifting, police officer Paul Galluzzo acts with his fists brutal beating Rashad for resistance. Witnessing this scene is Rashad’s classmate, basketball player Quinn who recognizes the cop as the brother of his best friend and father figure since his own died in Afghanistan. Quinn who can’t believe what he is seeing, but this incident does not stay quiet for long. Soon the incident is all over the news with accusations of prejudice and racial brutality. Tensions rise and people are taking sides. In town. In school. On the basketball team while Rashad and Quinn have to make choices that they never considered before. Critical Evaluation: All American Boys explores important themes of racism that is very timely in today’s world. By exploring the aftermath of a single violent moment by focusing on the first person narratives of both witness and the victim of the act, Reynolds and Kiely take us into the heads of Rashad and Quinn exploring their changing perspectives as things unfold. For Rashad, it means physical and mental healing as well as coming to terms with his new role as victim in this unfortunate statistic while Quinn struggles to understand his white privilege and the everyday racism his non-white classmates face. The narratives feel real that Rashad and Quinn could be any teenager in American. Even the ending feels very organic. However, I do think some of the storyline gets lost in this message heavy story. 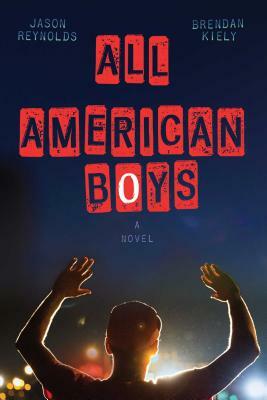 All-American Boys is very much a issue centric story, but it is a story that is necessary. A simple narrative that helps touches on complex topics of race and privilege. Lots of room for conversations and discussions. Author Bio: Jason Reynolds is crazy. About stories.After earning a BA in English from The University of Maryland, College Park, he moved to Brooklyn, New York, where you can often find him walking the four blocks from the train to his apartment talking to himself. Well, not really talking to himself, but just repeating character names and plot lines he thought of on the train, over and over again, because he’s afraid he’ll forget it all before he gets home. Jason Reynolds is the author of critically acclaimed “When I Was the Greatest”, for which he was the recipient of the Coretta Scott King/John Steptoe Award for New Talent, “Boy in the Black Suit”, and “All American Boys”, cowritten with Brendan Kiely. You can find his ramblings at JasonWritesBooks.com. Challenge Issues: To defend this book, I would mention the diverse narratives, the exploration of themes for two very different characters, the timely issues. Additionally, this book has gotten three star reviews from Kirkus, Booklist, and School Library Journal.